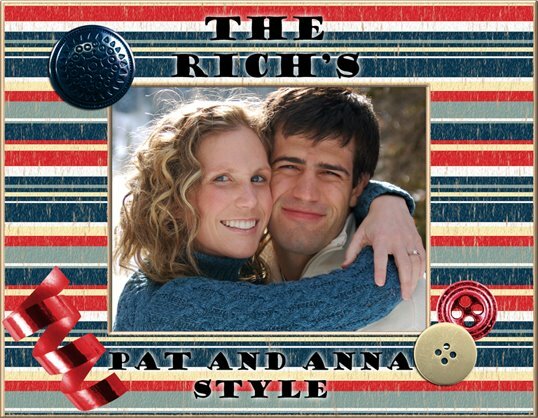 The Riches Pat and Anna style: Happy Halloween! Halloween has got to be the BEST holiday ever! I look forward to it every single year and start planning out costumes in June. Of course, every year people (mainly Pat) laugh at me in June because I'm planning out my costume but I don't care. We were going to be ninjas but made a last minute switch (so much for my early planning) to Mario and Princess Peach. At first I was a little bummed, but these costumes turned out to be quite fun. I made my dress - yes sewing is quite frustrating and it is one time wear I am tempted to curse many many times - but it turned out nicely. This is my advice if you plan on picking up sewing: measure BEFORE you cut! Don't just assume that you know your pattern size because than you end up making a dress two sizes too small! Also, pin BEFORE you sew. No matter how many times you double check it, you might end up sewing something on upside down and backwards. That's pretty much it. Pat's costume was the easier one to put together (note the words "put together" not "make.") Plus, he could move his arms much better than I could. After a hearty discussion on which Nintendo character was the best we came to little conclusion - which do you like best. I lean towards Luigi because he can jump high, Pat likes Toad because he digs fast. This is the first year that we have been able to go to Lisa and Dustin's service project at the Ronald McDonald House. We made and served dinner to the families that were staying there. Afterwards, we had people come over to our house for good old fashioned games - The Candy Bar game, 4 Men on a couch, the Magic Word game and Seinfeld scene-it (this strengthened my resolve that I don't like the scene it games - they're just kind of boring, sorry Johnny, I was so excited to play it). Here's Johnny in quite the creative costume - "Smarty Pants." I LOVE it! Everyone seriously had spectacular costumes!! Here are the cupcakes I made for my 8th graders in homeroom. I was quite proud of the cool spiders I made but I have a feeling they went under-appreciated among the 13-14 year olds. None-the-less, I was so proud of them that I made them into my favorite treat to serve at our party - sugar cookies! YUM!! too early, it's not quite Thanksgiving yet! wow way to go making a DRESS!! was that your first major sewing project?!? I am still working my way up to clothing. :) IMPRESSIVE oh man. btw, the first time I make something it makes me want to tear out my hair. The 2nd time it's WAY easier. Princess Peach was by far my favorite...she could FLOAT! Great costumes Anna! I'm impressed with your sewing capabilities. Oh my heart. 3 things. 1. I'm in love with your costumes! You make me want to sew. 2. I'm even MORE IN LOVE with your cupcakes! They are adorable! So impressed! 3. I can't stand Christmas music too early either! You are amazing and I miss yoU! I'm pretty sure I was alone in liking Toad best in that conversation about Nintendo characters... Pat played the diplomatic role of claiming everybody had their strengths except Mario. LOVE the costumes and I am not surprised at all to hear you started planning your costumes in June. And I personally love Princess Peach and Mario SUPER AWESOME!! I have fond memories of sewing Halloween costumes with you. And what a great way to spend Halloween.